Peravur is a small hamlet some 7 km from Aduthurai . It can also be reached by taking Kumbakonam- Karaikal road and divert from S.Pudur. The distance from S.Pudur must be around 4 km. We pass through the Temple at Thirukozhambam, sung in Thevaram. The Temple at Peravur is said to have been built by Adhitha Chola I and the Temple carries Chola inscriptions. Saint Appar has mentioned about this place in his Thevaram Hymns. Due to a very long period of neglect, the Temple had lost its Ambal Sannadhi. It had no compound wall. Puja was done only once in a day. When the Temple at Peravur was visited some two years back, the need for renovation was felt as the shrine was facing a situation of now or never. Since the Ambal sannadhi had gone- probably a century ago and the only sannadhi of Adhitheswara was under threat. 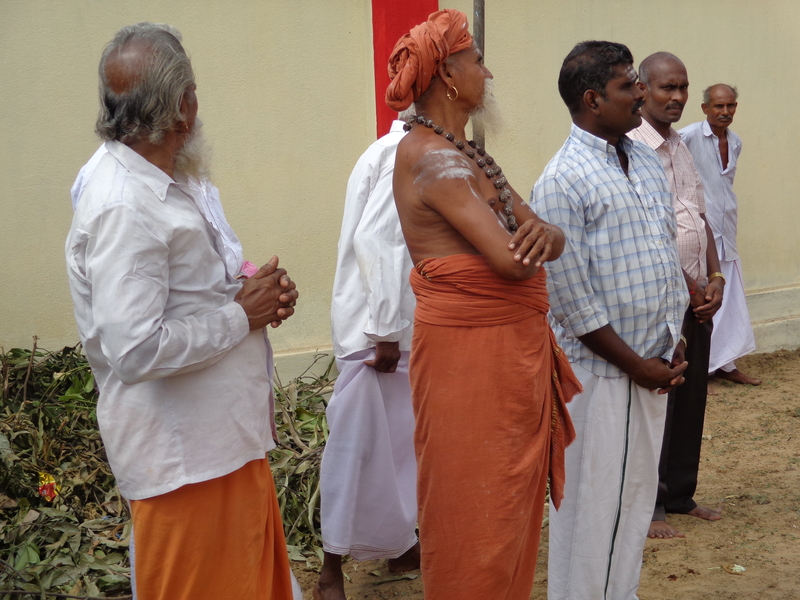 The locals also shouldered the responsibility and came forward to renovate the Vimanam of the Sanctum. We built a new sannadhi for Ambal and the consecration was held on 9th April,2014. The Temple now presents a new look but the old face was left untouched. 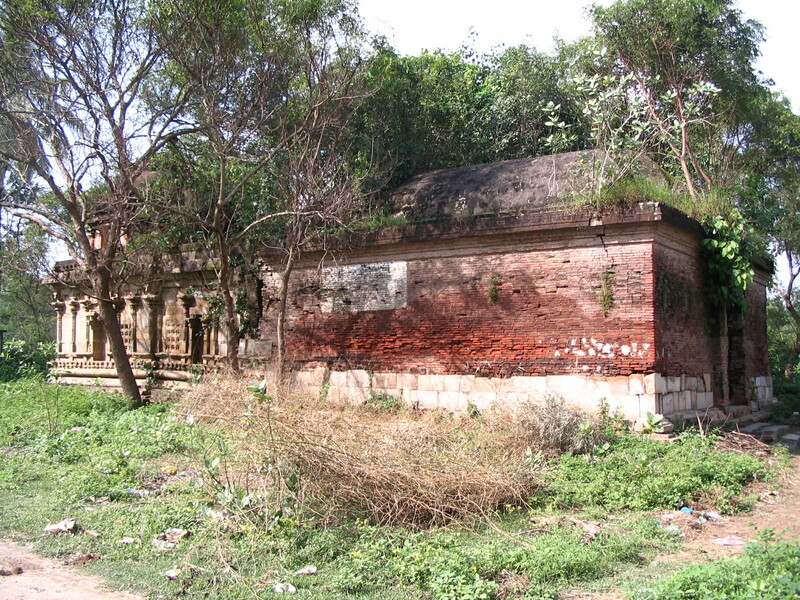 Thevaram Hymns related to this place were inscribed on a Tablet and fixed at the mahamandapam. 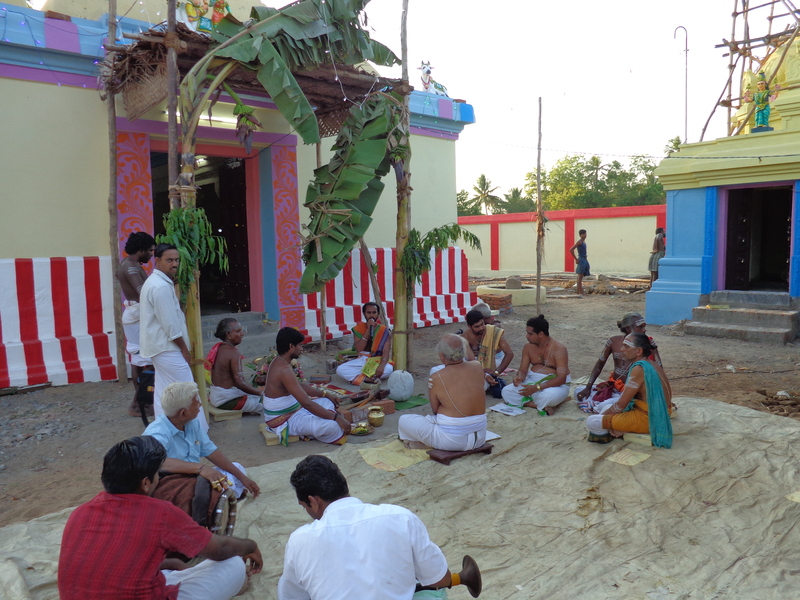 Yagasala Pujas started on 7th April by a team of Agama Pandits by drawing Holy water from Veera Cholan river , a tributary of Cauvery followed by Ganapathi Homam and other Pujas as prescribed in Sivagamas. 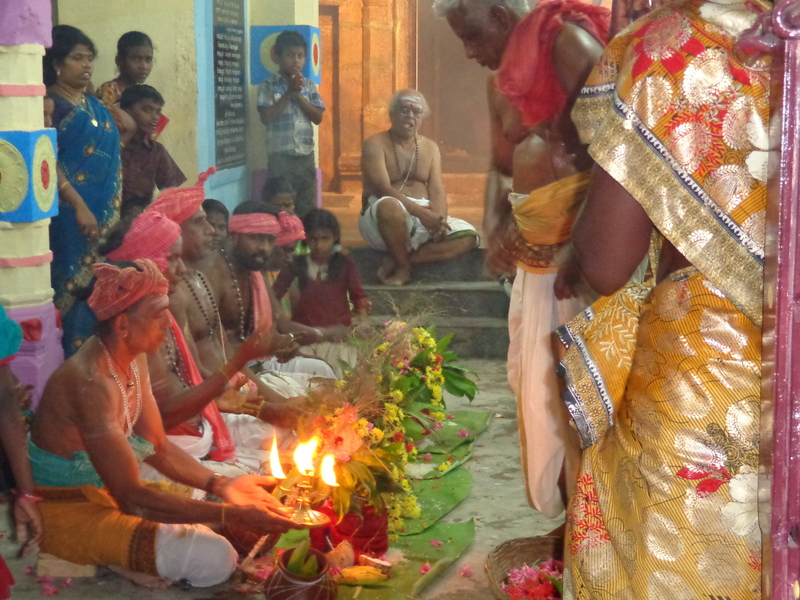 Go-Puja was done in front of the sanctum and a large gathering of local people witnessed the event. 4-kala Yagasala pujas were carried out which included dhampathi puja, vadu puja and kanya puja . The involvement of the locals in all these events was exceptional. Visesha sandhi by the sivacharyars was one of the main events of during these days. 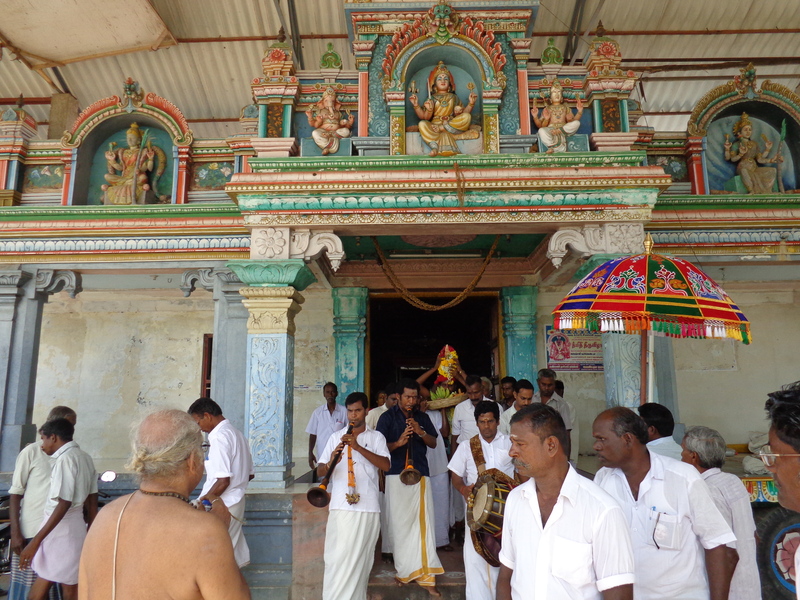 This was also done at two other places, namely Perumal Temple and Mariamman Temple. 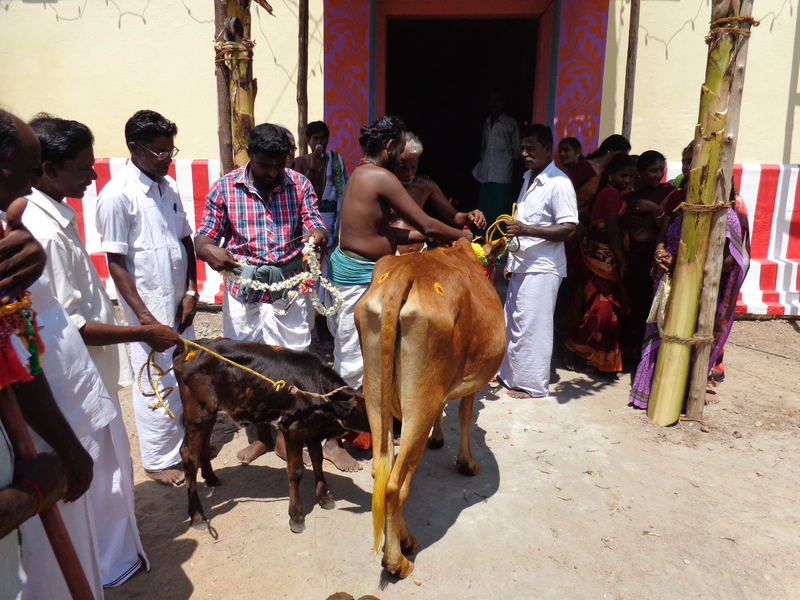 On the consecration day, sparsaguthi and poornaguthi were performed and the kalasams were taken around the Temple and the Mahakumbabishekam was performed at about 10.15 A.M. in the presence of Thambiran swamigal from Thiruvavaduthurai Adheenam and large number of devotees. This entry was posted in Latest News, Renovation. Bookmark the permalink.